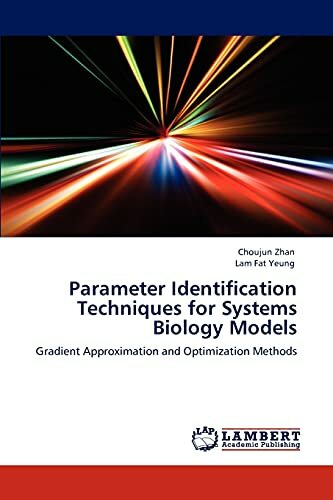 Mathematical models for revealing the dynamics and interaction properties inside biological systems play an important role in computational systems biology. This work is motivated by the current difficulties in identifying practical bio-system models. In the field of systems biology, available data are often noisy, sparse and expensive to collect. Therefore, system identification is a challenging problem. A major task of identifying a model, as described in terms of non-linear ordinary differential equations (ODEs) with indeterminate parameters, can be formulated into an optimization problem. It is a reverse engineering exercise to reconstruct the system model via various numerical tools like constraint-mixed-optimization algorithms and approximations. Due to sensitivity issues, in many cases, even the simulated output data, as generated by the identified model with a set of estimated parameters, fit very well with the measured data, it is still important to infer how well these model parameters being determined; which is essential for the investigation of model construction. For this reason, the identifiability issues, which is an important practical issue, is also treated. Choujun Zhan received his B.S. degree in automatic control engineering from Sun Yat-Sen University, Guangzhou, China in 2007 and the Ph.D. degree in electronic engineering from City University of Hong Kong, in 2012.